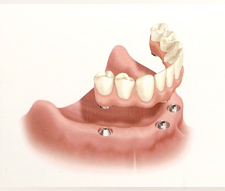 As some of the most experienced providers of dental implants in New York City, the dentists of Advanced Periodontics & Implant Dentistry offer several implant-supported bridge options. 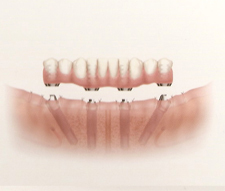 Depending on your dental health and preferences, they might use the advanced Teeth-in-an-Hour procedure or the novel All-on-Four treatment to create a stable, natural-looking bridge in a short time. To schedule your personal consultation and learn which dental bridge procedure is best for you, call our offices or contact Advanced Periodontics & Implant Dentistry here to request a free consultation. In addition to performing leading-edge dental implant procedures, the dentists of Advanced Periodontics & Implant Dentistry also offer a variety of gum treatments. All of them are highly trained New York / Long Island periodontists who have achieved board certification in this field of dentistry.